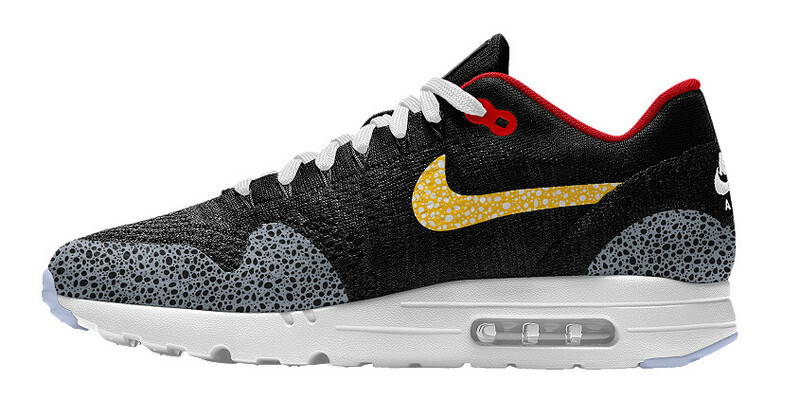 NIKEiD adds "Safari" patterns to its Air Max 1 Flyknit. 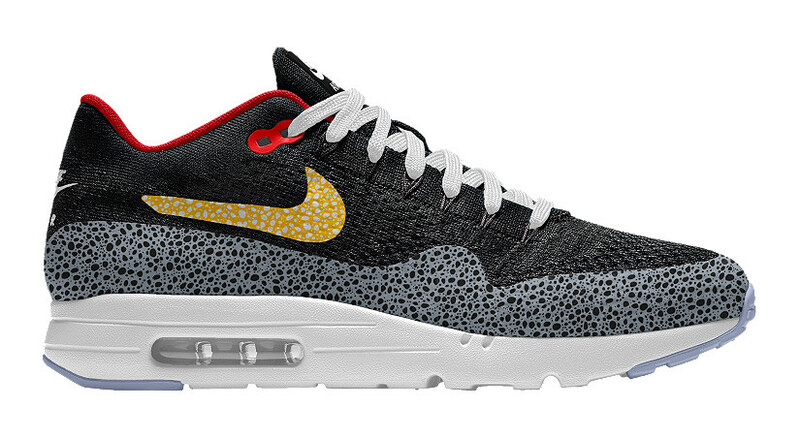 This year has been a big one for "Safari" Nike Air Max 1s. 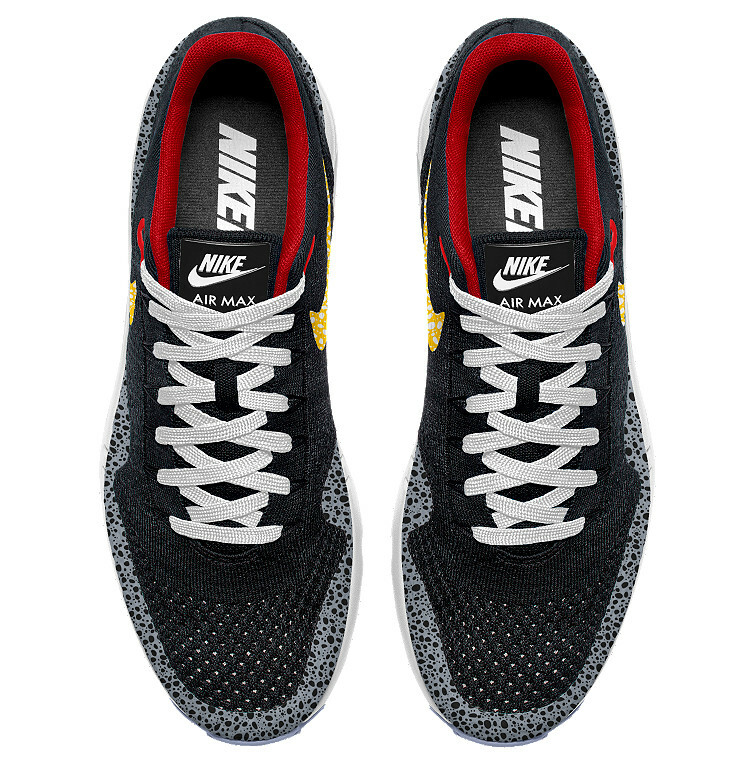 Not only did Nike reprise the Atmos-designed "Safari" colorway, but the brand is bringing the pattern to this iconic runner once more via NIKEiD now. Users can add "Safari" spotting to the Nike Air Max 1 Ultra Flyknit, giving the updated silhouette more of a retro lean. 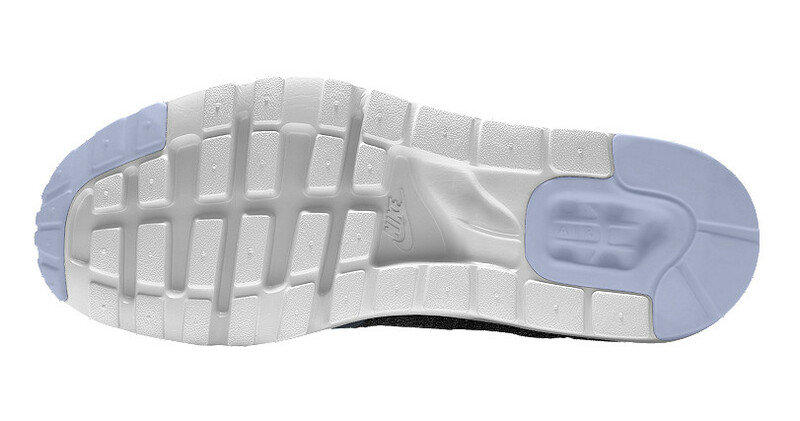 The pattern can be applied to the upper's mudguard and Swoosh, with the latter offering a few more color options. 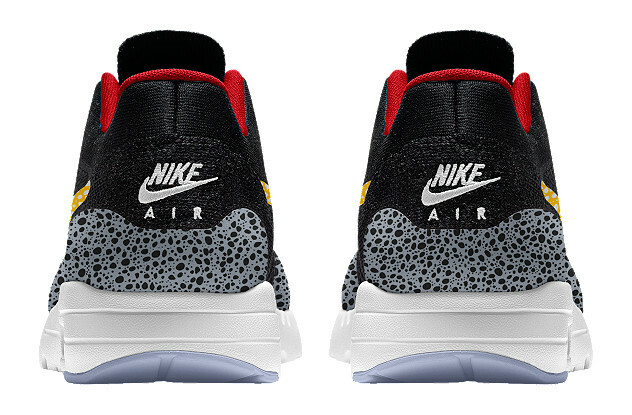 Readers who need more Safari Air Maxes in their life can give this new NIKEiD feature a spin now here.